Flourishing online web development begins with an understandable strategy and detailed pattern. Before working on your project, we may ensure that you have an outline for measurable success. Our team has expertise in pointing essential success factors and required resources. measurable success. Our team has expertise in pointing essential success factors and required resources. In today's business world business men don't just need a single service; they're looking for tools, which can support all their business needs. Businesses likewise need to offer all tools to businessmen that fit individual needs and boost their productivity, while also supporting integration and security concerns of IT. 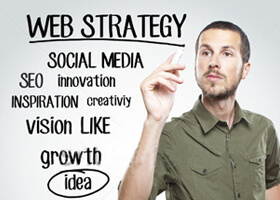 Web experts™ web business solutions will not only drive individual efficiency, but have the potential to be delivered as part of fully integrated web work solutions - leverage Web expert's expertise in secure methods improving your overall business performance.